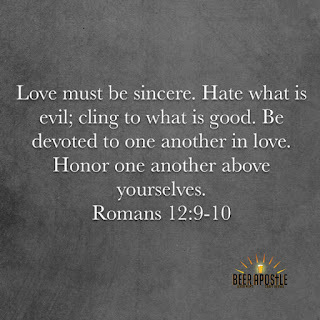 Sincere love is a recurring theme of the Bible. It's rare in man but constant in Christ. He sets the example for us countless times. Christ leads like a servant and humbles Himself while elevating others. He loves in a way that, to be honest, sometimes feels impossible to emulate. Fortunately for us, God commands us to love and also calls us to repent...probably because he knows we'll fail frequently on the first part. 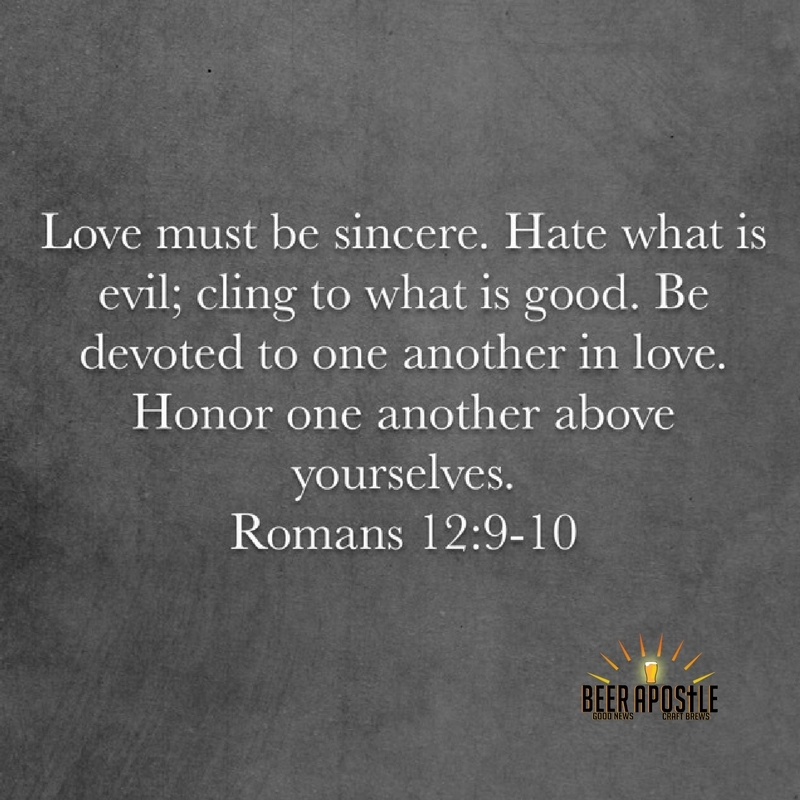 Romans 12:9-10 establishes a bar of excellence not only in regards to how we should show love, but how we should cling to love. Christ epitomizes love. To cling to love is to cling to Christ. He loved and died so that we may be loved and live. I've been reluctant to try any Oktoberfest beers prior to now, but I recently received a bottle of Clawhammer from Highland Brewing and wanted to give it a try. With college and professional football starting back this week, it's a bit easier to transition into the autumn beers. The aroma is pretty mild with a faint malt sweetness. Clawhammer provides a smooth taste that starts with malt sugars on the front of the palate followed by caramel, toasted grains, and light hops. 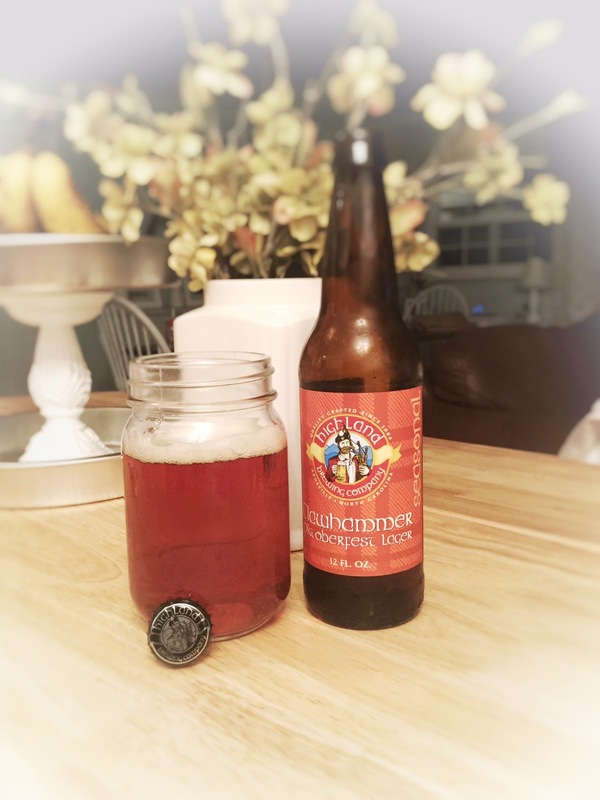 It's a clean beer--a nice malty marzen that is a solid representation of the style. This not my favorite Oktoberfest, but certainly one I enjoyed. Great verse so appropriate in this time of of the world issues.If we all put others first and didn't have such an "all about me" mentality, thi k of what the world would be But so hard to do on a constant basis.thanks to Jesus for forgiveness.